+ Final pricing is based on hair length, thickness, and texture. Pricing is determined after a complimentary consultation with one of our Beauty & Wellness Stylists. *Hair service includes shampoo, conditioner and blow dry. *No refunds or exchanges on wigs, hair extensions, services or hair products. Shampoo/Flexi Rod set Large rods. Shampoo/Flexi Rod set on medium rods. Shampoo/Flexi Rod set Small rods. **Corrective Color / Creative Color: Priced upon consultation. Consultation is required for first time guest before hair coloring appointment can be scheduled. Shampoo, Hot oil conditioner, blowout & braiding guests hair. Includes shaping up edges of hair on sides & neck area. Scalp treatment for guest without hair & prep for wig installation. PQ Custom lace front wigs $550.00 and up. All of our custom wigs are customized to our client’s head shape, color, texture and style preference. **No refunds or exchanges on wigs, hair extensions, services or hair products. *PQ Classic Weave Sew-in: Includes our Silk top closure & 2 hair bundles 10” – 16”long. **$850.00+ Final price is depending on hair length, texture & color. **$950.00+. Final price is depending on hair length, texture & color. $125.00 and up (1 hour, $25.00 for each 30 minutes. 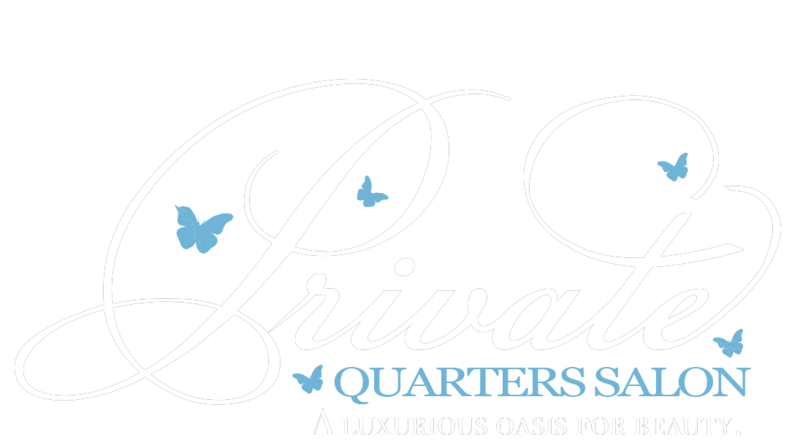 Private Quarters Salon exclusively uses “Pink Champagne Wax” from Paris. Pink Champagne Wax is polymer based for extra sensitive skin. Its unique formula delivers a flawless result, by removing fine to coarse hair. Due to its low-temperature formulation and ingredients, we recommend our wax for any skin type.